Quality of Service | CCIE, the beginning! If you already grasp QoS concepts for IPv4, IPv6 QoS is a piece of cake! As with IPv4, IPv6 uses MQC (Modular QoS CLI)to configure Diffserv (Differentiated services) QoS. NBAR, the first version, doesn’t support IPv6. No way to match directly RTP. CAR (Committed Access Rate) replaced by CB- Policing already in IPv4 and no need to keep supporting it in IPv6. PQ/CQ replaced by MQC (Modular QoS CLI). IPv6 supports only named ACL. Layer2 (802.1q) commands works only with CEF- Switched ports not with process- switched nor router originated traffic. The following is the topology used to deploy IPv6 QoS, no IPv4 addressing scheme. The serial link between the two routers is the bottleneck of the network where QoS is needed. The first and the most crucial step in deploying QoS is classification of traffic. identify various applications and protocols running on your network. understand the application behavior with respect to the available network resources. identify the mission critical and non-critical application. Categorize the applications and protocols in different classes of service accordingly. source/destination IPv6 addresses, IP protocol and source/destination ports. TCP/IP header parameters (packet length…). IPv6 specific classifiers (not currently used). IPv6 (traffic class) used in the same way as IPv4 (ToS). 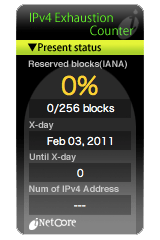 IPv4 can take advantage of NBAR, very useful to automatically recognize applications and provides statistics about bandwidth utilization. Without NBAR, you will need to manually determine which classifiers define the application you want QoS to handle. Unfortunately NBAR doesn’t support IPv6, NBAR2 does. For IPv6 traffic, you can use other tools such “Netflow” or any traffic analyzer software for more granular inspection, then build IPv6 ACLs matching the relevant classifiers with the relevant values. Table1 summarizes the applications used in the lab for demonstration purpose. Generally dscp “ef” is reserved for VoIP which requires the most stringent QoS, in this lab we use the dscp marking just to check at the destination host (hostA) whether the classification works. The end-to-end model used to test IPv6 QoS is depicted in Figure2. For the purpose of the lab, the unicast streaming application is given the highest priority and it is supposed to have stringent bandwidth, latency, delay and jitter requirements, LLQ (Low Latency Queuing) is the most appropriate queuing mechanism for such applications. The FTP traffic is considered critical with a minimum of 30kbps of bandwidth guaranteed . Any other traffic, default-class is considered “scavenger” and will have no privilege during congestion. Each application is being allocated the needed bandwidth to perform correctly. Figure3 and 4 show a summary of general QoS mechanisms and queuing system types. Shaping and policing work exactly as in IPv4. More efficient in term of memory utilization. Drops packets more often, therefore more TCP retransmission. Less efficient because of additional queuing, but less dropping (only when congestion occurs). Causes variable delay (jitter) and increases buffer utilization, therefore more delays. Figure5 shows the mechanism of token bucket used in shaping and policing. The first part of the graph corresponds to FTP traffic with just a configured guaranteed bandwidth of 30kbps. In the second part of the graph, a high limit is set for FTP class using policing at 100kbps, you can note that this results in a frequent TCP global synchronization, a TCP protocol behavior when congestion occurs somewhere in the path to the destination, as long as the congestion exists the source continues to receive requests to decrease the sending rate back from zero and so on, hence the form of the graph (repeated short bursts from the bottom to the maximum). The third part of the graph represents the result of using shaping instead of policing, more optimal use of the bandwidth. Instead of dropping the TCP traffic and causing global synchronization, the exceed packets are queued for a certain amount of time and then sent, hence the higher used average bandwidth. Make sure you understand first IPv4 QoS, especially the difference between shaping and policing and their impact on your own applications.